One of the many, many perks of living in a desert-scape is the wild sage brush. Lucky me –– being born here and shown the ropes of foliage at an early age –– we've bundled and burned sage next to candle lights since the beginning. 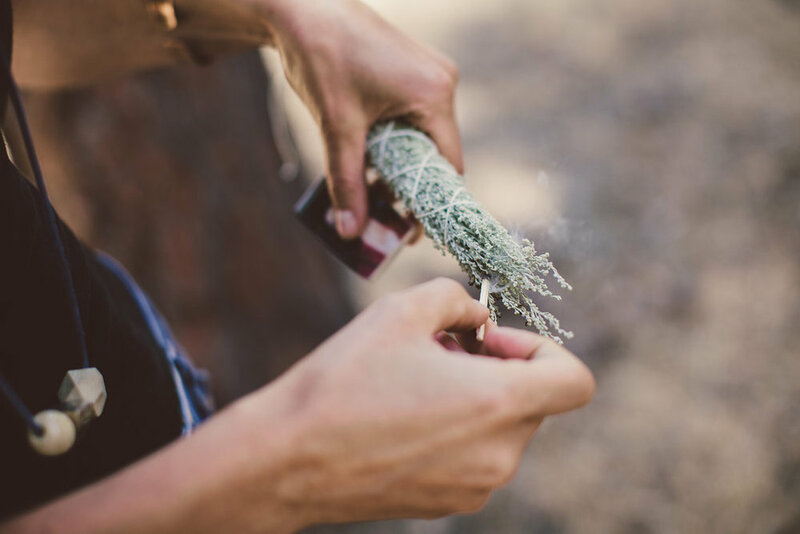 In our world, burning sage is a cleansing ceremony to help bring a space to neutrality. 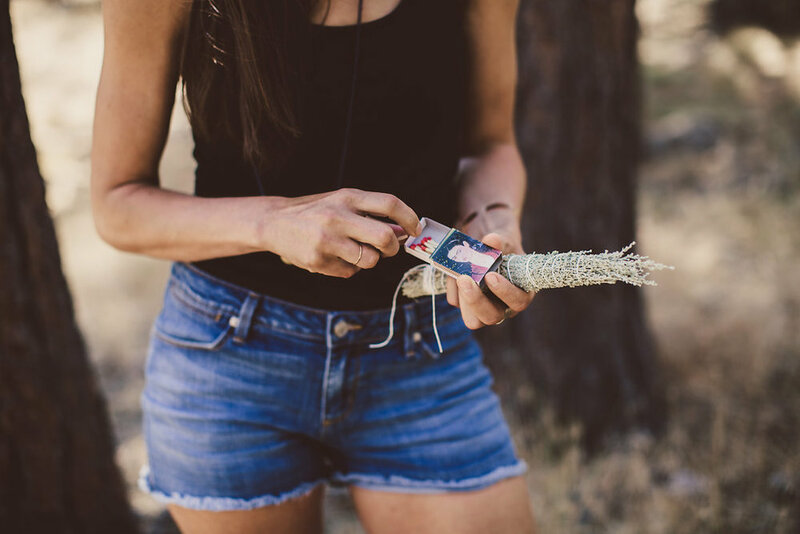 Our Sage Smudge Sticks are gathered from public lands in Oregon deserts. Funny enough, these photos were taken in our backyard under the Ponderosa pine trees where sage grows less frequently. 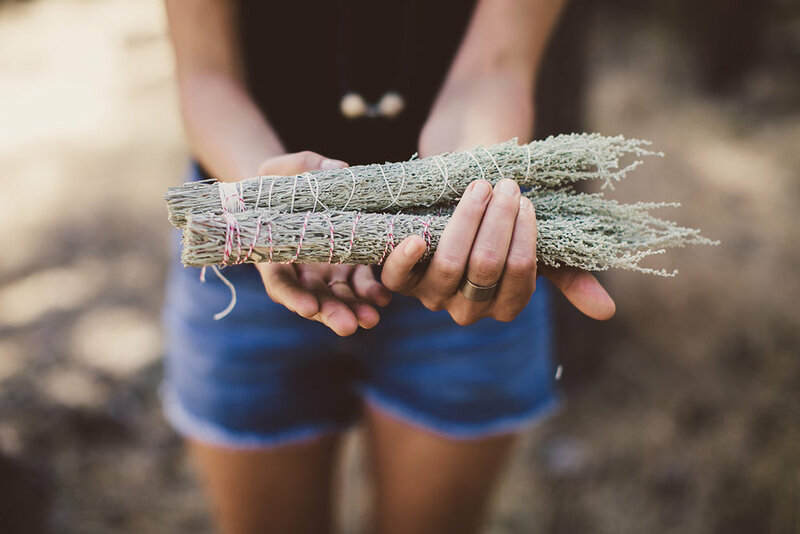 This hand-harvested and hand-wrapped in cotton string sage will purify any space when burned. Use weekly or for special occasions as it feels right. Enjoy the lingering smell of the desert sage grown under the hot, dry sun.